The Serious Fraud Office (SFO) has announced that a former Petrofac employee has admitted bribery under the UK Bribery Act 2010. No charges have been brought against Petrofac or any current employees. However, the company, and some employees, is alleged to have acted together with the individual concerned. The shares fell 29.3% following the announcement. 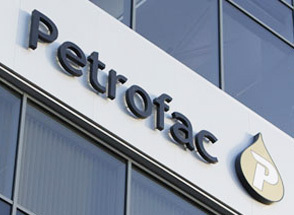 Petrofac's former Global Head of Sales has admitted to 11 counts of bribery dating between 2012 and 2015. If allegations of complicity on Petrofac's part prove correct, then the company will face a significant cash fine. That would raise serious questions about the sustainability of the dividend. However, a more serious problem is what might happen to the group's reputation. Petrofac is a people business, and thrives or dives on the quality of its staff. The danger is that this announcement sparks a mass exodus. And it's unlikely to do the group any favours winning new business either. The fact the allegations cover multiple geographies and almost half a decade only makes things worse. It suggests this could be more than one or two rogue employees. The news will be all the more painful for investors because things had been looking up lately (see details of the most recent trading update in December, below). A recovering oil price and strengthening of balance sheets among oil producers has seen investment in the sector creep up, and business start to flow again. That's all up in the air now though. Petrofac hasn't been charged with any offences, and the scale of the company's involvement, if any, is unknown. But until the situation is resolved almost everything else will have to take a back seat. Petrofac is on course to meet expectations for the full year, with $5bn of new orders so far this year. The total order back log stands at $10.2bn, in line with this time last year. The group has also made significant progress in reducing net debt, from $900m at the half year to $250m by year end. That includes $500m from divestments. The shares rose 2.2% in early trading. The Engineering & Construction business has seen progress at projects in Kuwait, Abu Dhabi, and the North Sea. The division has been awarded $3.8bn of new contracts this year, including projects in Thailand, India and The Netherlands, and is bidding on $15bn of new business. Although the market for brownfield sites in the North Sea remains challenging, progress in Asia and Engineering, Procurement & Construction Management mean the broader Engineering & Production Services remains resilient. The division has secured $1.2bn of contracts and extensions in the UK. Oman, Turkey and Iraq. Net production is set to be around 6.1 mmboe in 2018, in line with guidance. The average realised oil price for the year is expected to be approximately US$61 per barrel of oil equivalent (2017: US$51).